Developed using our extensive experience meeting TSA requirements for both checkpoint and hold baggage screening, the HI-SCAN 6040 CTiX scanner has arrived in the US. Designed to deliver the highest levels of security while optimising checkpoint performance through improved productivity, a better passenger experience and lower operational costs, our first CT checkpoint system is currently deployed for live baggage screening tests at checkpoints in Los Angeles International and St. Louis Lambert International Airports. This innovative scanner is a key part of the Smiths Detection advanced integrated screening solution, which includes: the iLane, a sophisticated automated checkpoint lane that automatically separates suspicious items during the screening process; Checkpoint.Evoplus, an advanced screening and management platform; and IONSCAN 600, the latest generation of trace detection technology. 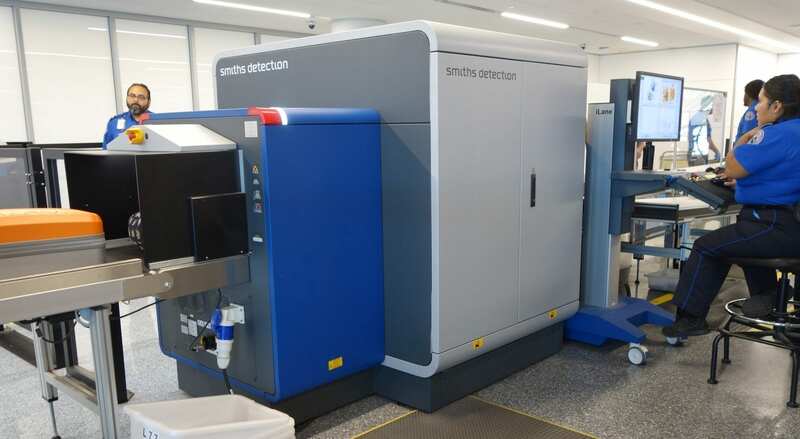 These tests are part of a larger TSA initiative to install CT checkpoint scanners in selected US airports as a step forward in its continuous efforts to raise the baseline for aviation security.